Restaurant: After 10 years, Restauarnt La Vie has much to celebrate. 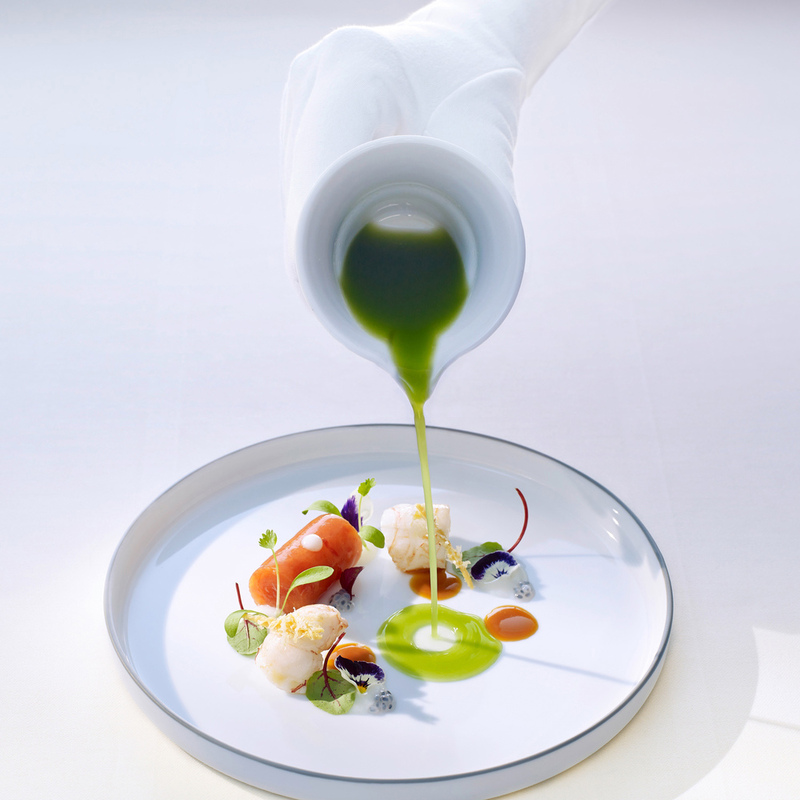 Awarded three Michelin stars six years in succession, 19 Gault et Millau points, and top ratings in Feinschmecker, Gusto and other guides. Additional impressive statistics: 6,500 bottles of champagne served, 2,800 saddles of venison prepared, 225,000 pralines created, and no less than 880 hours worked in Ippenburg Castle kitchen garden. The gourmet restaurant lies in the heart of Osnabrück’s historic Old Town, opposite the town hall where the Peace of Westphalia was proclaimed in 1648. Not only is the food exceptional in flavor, it is so beautifully plated that you could take a photo of it and hang it on the wall. Butter: La Vie serves salted and unsalted French butter from Le Beurre Bordier. 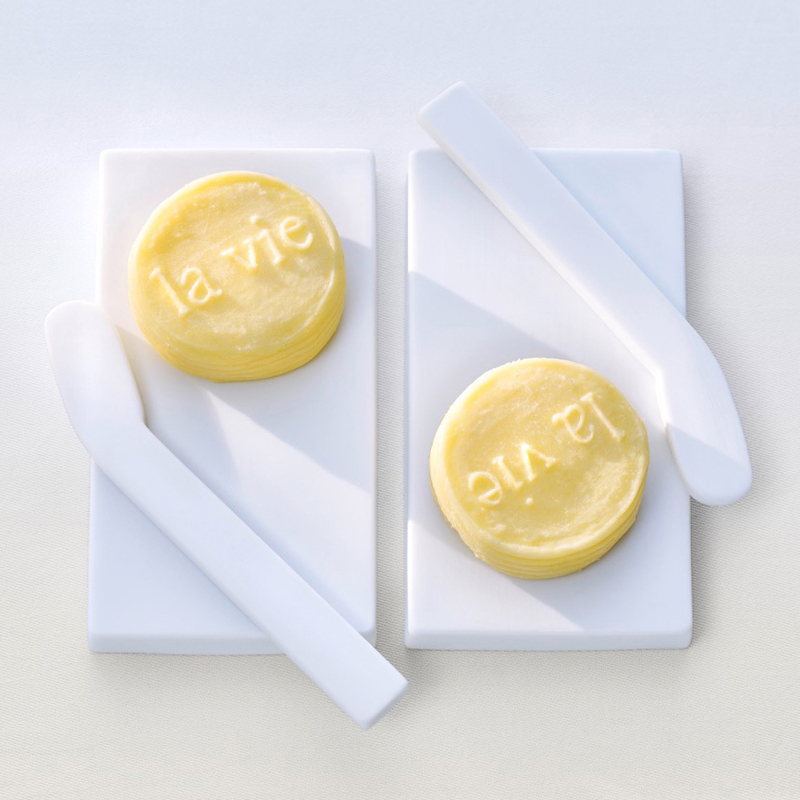 Waiters serve butter embossed with the La Vie logo on a small white porcelain trays with matching knifes. 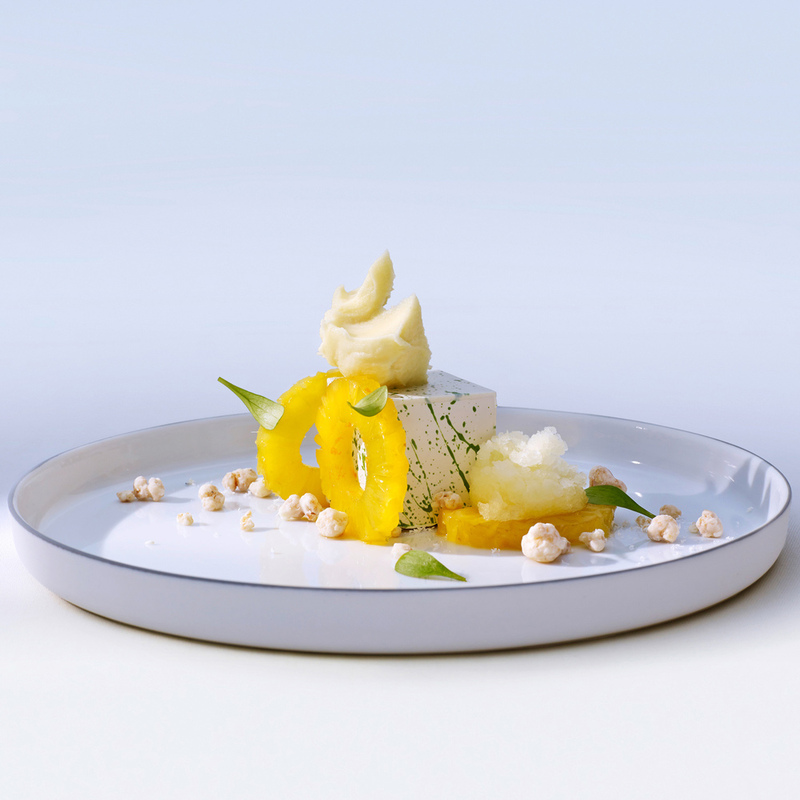 Chef Commentary: “Butter really reminds me of my childhood.” Admits Chef Bühner. “When we visited my grandparents on their farm, they would always offer us rye bread with butter and Westfalian ham.” (Westphalian ham is a ham produced from acorn-fed pigs raised in the forests of Westphalia, Germany. The resulting meat is dry cured and then smoked over a mixture of beechwood and juniper branches.) He fondly remembers this butter because at his parent’s house, they would only eat margarine. Chef Bühner admits that he has not touched margarine in over 35 years. However, he does think it is getting more difficult to find really good butter these days.